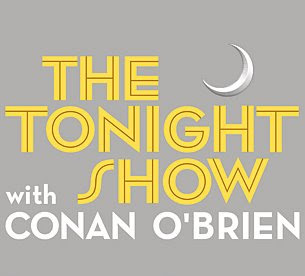 Big day in the media world yesterday as Conan O'Brien took over as the fifth host of "The Tonight Show." And for the first time in 17 years, it felt like "The Tonight Show." Big, expansive stage. Band to the right. Interview set to the left. Announcer/sidekick at about 8 o'clock as we're looking at the host. And an emcee who has hit his stride in such a way that he should not only bring his hard-earned audience forward an hour with him, but is savvy enough to get the folks used to a certain sort of post-late news comedic world to stick around. The show's cold open, with Conan realizing he hadn't done the final item on his show prep checklist and having to sprint from sea to shining sea (or at least to the Universal lot), also did one other, slightly more subversive thing. Set with the background of Cheap Trick's "Surrender," it said that this is going to be the "Tonight Show" for Generation X, that much-maligned and now-suffering group of folks in their late 30s, early 40s who live in an absurdist world not of their own choosing. We're the ones hopefully with kids, jobs, responsibilities (clearly, I'm not talking about myself...) that just want a look-in on the world from between our toes as we start drifting off to sleep. And sometimes, we want that look to be a little off-kilter...Leno was never really able to provide that, certainly not in the way his predecessor could (Carnac and/or Art Fern, anyone?) and not in the way his successor will. But after close to 3,000 hours spent with a camera pointing at him, Conan's got this stuff down pat. And say what you will about Leno still having a few good years in him and he's still making NBC Universal a boatload of money and he'll redefine prime-time when his new show debuts in September...it was time Conan graduated to the big stage. So congrats to the folks at the new "Tonight Show," including recently transplanted Nashvillian/music guru Jim Pitt, on their first outing. The big-name stunt booking is going to bring them plenty of eyeballs this week, but if the first show is any indication, it'll be the quality of the production that keeps them looking in.